The nine-week class offered by RIIA aims to help advisors achieve the retirement management analyst (RMA) designation. RIIA programs are focused on retirement-income planning. On Monday, the Retirement Income Industry Association – in partnership with Salem State University – begins a new online course for financial advisors pursuing the Retirement Management Analyst (or RMA) designation. The nine-week program runs through Dec. 18 and includes live and recorded expert presentations, discussion groups and interaction regarding the RMA curriculum and case studies. The principal instructor is Michael Lonier, RMA and CEO of Lonier Financial Advisory LLC, which is based in Ramsey, New Jersey. “This course is a great example of our ability to strategically leverage our distance learning expertise to meet the specific needs of financial planners, while also helping us support the need in our community for the type of client-focused advice RMAs provide,” said Patricia Meservey, president of Salem State University in Massachusetts, in a press release. The new RMA course is aimed at financial advisors with three or more years of industry experience who wish to show clients and business partners a mastery of the retirement planning advisory process and RIIA’s View Across the Silos approach. This encompasses using client cash flow and financial balance sheet to implement investment-, product- and goals-based planning to generate secure retirement income allocations. The RIIA organizes conferences and events, professional education for RMAs, publishes a peer-reviewed journal (Retirement Management Journal) and offers twice-monthly retirement-focused webinars through its Virtual Learning Center. At RIIA’s recent fall conference in Indianapolis, York University professor Moshe Milevsky highlighted the historic importance of the field. 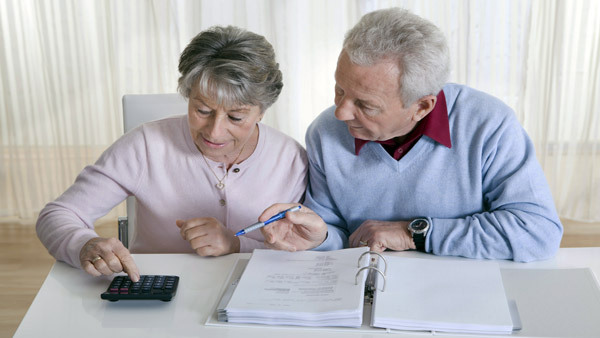 “There is a lot to be learned from the history of retirement income products. We need an expanded set of choices that should perhaps increase the appeal of the choices we already have,” explained Milevsky in a keynote session, attending by about 150 advisors and other financial professionals. The appropriate analogy, the retirement scholar states, is with the marketing of jam, which doesn’t sell well if there is only one type on the grocery store shelf. — Check out Milevsky: Why Retirement Income Products Are Like Jars of Jam on ThinkAdvisor.